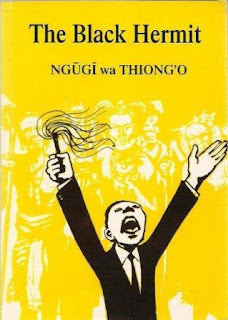 The Black Hermit was the first play by the Kenyan author Ngũgĩ wa Thiongʼo, and the first published East African play in English. The travelling theatre of Makerere College were the first to produce the play, putting it on in honour of Ugandan independence at the Ugandan National Theatre in Kampala in November 1962. The play was published in a small edition by Makerere University Press in 1963. and republished in Heinemann's African Writers Series in 1968. REMI – the main character. Thoni and Nyobi are in a hut when Nyobi notices that Thoni has been crying. She (Nyobi) complains since Remi does not reply the letters she sends to him. She advises Thoni to find another husband but she refuses. Thoni believes that Remi hates her. She wonders why men do not rest in her hands. Then Nyobi gets an idea of asking the pastor to go the city to look for Remi since he was once a God-fearing child. The elder comes to ask Nyobi to give them a mother’s blessing to their traditional medicine that will make Remi come back. Being a Christian she hesitates a bit but later overwhelmed by a mother’s desire to see her son back, she betrays her heart, giving the required blessings. The elders of the tribe meet to discuss the return of Remi. They discuss how the situation is worse to them even after independence. Poor social services, taxation are just a few. They believe that Remi’s mind was spoilt by the evil eyes of their neighbours. Then they turn to the mountain to say a prayer. Then the leader cautions that when Remi comes back he must not fall under the influence of his mother nor the pastor. Ø Scene III –The Same. The pastor meets Nyobi and she confesses that she has betrayed her faith. The pastor believes Remi was polluted when at the university by engaging in politics. Then Nyobi asks the pastor to go and look for Remi in the city. The pastor agrees. Remi is with his white girlfriend in his room. In their conversation Jane discovers that there is something that has been disturbing Remi for so long. Jane requests Remi to tell her about his background and she suggests that Remi should take her to his parents but Remi puts it aside and suggests that they go to the night club instead. Remi is visited by his friend Omange and the two discuss a lot about the political situation in the country. They discuss the dangers of tribalism, religious factions, and racism. Remi narrates his background to Omange; how he loved Thoni who got married to his brother and how his brother died. He shows that according to their custom his father asked him to inherit Thoni and that is the reasons why he ran to the city. 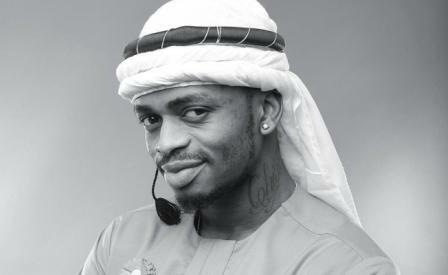 Omange advises him to go back home. The elders come to persuade Remi to go and save them. They explain to him the troubles they get just because of his absence. They leave the room dropping a bundle of medicine at the door way. The pastor comes to see Remi for the same reason. Eventually Remi promises that he will go back home. The pastor goes and leaves the bible behind. Jane visits Remi again and Remi is determined to go home. She insists to go with Remi but he refuses. She believes may be it is due to their differences in races that Remi is denying her so she promises to be faithful to him and his people. She insists that Remi should tell her about his history. Lastly Remi tells her that he is married. She is disappointed and the two come into a conflict. Finally Jane runs out. Nyobi and Thoni discuss the return of Remi and Thoni is happy. The pastor joins them and insists it is the work of Christ. The 1st neighbour rushes into the hut announcing the meeting of so many people who have come to meet Remi. The pastor narrates how Remi addressed the meeting with a roar. How he came with a man from another tribe and said he is his brother and theirs. How he blamed the elders for preaching tribalism etc. Remi attacks the pastor for dividing people and his mother for making him marry Thoni. On hearing this Thoni disappears. Ø Scene II – the same Thoni foretells her death. Thoni begins thinking of going where no one can find her. She talks to the woman about her death in a figurative way. The woman advices her to go and stay with her since Remi is not the only tree under whose shadow she can rest. She says; goodbye mother, goodbye father, goodbye my village and goes out. Ø Scene III –the death of Thoni. Ø He is the son of Ngome and Nyobi. Ø He is educated. We are told that he is the only one in his Marua tribe who has had a chance to go to the university. Ø He is a betrayer. He betrays Jane by refusing to marry her as he promised. He also betrays his tribe for not using his education to help them solve their social problems instead he runs away to the city to enjoy the city pleasures leaving his people in a bad situation. Ø He is an active member of Africanist Party which is in power. He has a strong convincing power. He convinces his people to join the party and they obey him. Ø He is a revolutionist but uses wrong approaches. He is against tribalism, racism, and religion factions but wants to bring changes overnight without giving the villagers enough time to adjust. This makes his strategies to prove a failure. Ø He is a victim of outdated customs. He is forced to inherit the widow of his late brother without his consent. He believes the lady does not love him so he runs away. Ø He is Remi’s friend from Njobe tribe. Ø He is very wise and aware of the effects of tribalism, racialism, and religion factions after independence. Ø He is a good advisor. He advises Remi on different matters including going back to his wife and giving her a chance to express her love to him. Ø He is after changes and believes that education is necessary for changes. Ø She is a very obedient village girl who gets married to Remi’s brother. Ø She is a widow. She lives alone after her husband’s death. She is inherited by Remi according to the custom but he runs ways leaving her alone. Ø She has true love. Thoni is portrayed as a person with true love to Remi. Despite the fact that Remi runs away from her, she is determined to wait even for 20 years. She does not want to take the third husband as Nyobi advises her. Ø She is patient and optimistic. Despite the terrible loneliness she is experiencing she still hopes that one day Remi will come back to her and is determined to wait for him. Ø She suffers from intrapersonal conflict. This happens since her husband is dead and now she faces loneliness. Then her next husband Remi has disappeared. Something that she might translate that he does not love her. Expressing her situation she says “why do men not rest in my hands? Death took away my first husband. Now the next, his brother has left me. The hut’s gloom and loneliness has started eating into me.” pg 4. Ø She uses a wrong approach to solve her problem. When Remi comes back and degrades her in public she decides to commit suicide. This is one of her weakness. Ø She is the wife of Ngome and Remi’s mother. Ø She is a sympathetic and caring mother. She takes care of Thoni like her own biological child. She wishes to see Thoni having happiness and she is deeply hurt when she sees the loneliness that Thoni is experiencing. Ø She suffers intrapersonal conflict. She suffers an intrapersonal conflict after the death of her son, followed by her husband and the later disappearance of Remi. Ø He is a strong Christian who mentors Remi to be the future leader of the Church. He even goes to the city to find Remi for the same reason. Ø He is against traditional beliefs although he also takes part in advising Remi to inherit Thoni. Ø He is blamed for causing disunity in the society. Ø He too is optimistic. He believes that Remi who was once a God-fearing child will change and lead the church after he has retired. Ø She’s Remi’s girl friend in the city working in the office as a typist. Ø She is betrayed by Remi. Jane is betrayed by Remi when the time comes for Remi to go back home he refuses to go with her. Ø Finally she runs away leaving Remi alone. The title of the play is “THE BLACK HERMIT.” A hermit is a person who, (usually for religious reasons), lives a very simple life alone and does not meet or talk to other people. The word black here may simply imply an African. That is to say the hermit in this play is an African man who decides to run away from his society to be alone (hermit) avoiding some circumstances in his African society. Tracing through the play we can see the main character REMI running away from problems in his Marua tribe to become a hermit in the city as he says himself speaking to Jane “…to be a hermit means escaping from what is around you. My tribe was around me” Pg 35. Among the reasons that make the main character to arrive at this decision include the following. Ø Remi becomes a hermit because of outdated customs like widow inheritance. Remi runs to the city to become a hermit because of being forced to inherit the widow of his late brother. This can be revealed in his conversation with Jane. JANE: “you call yourself a hermit! A black hermit? You are not a hermit. A hermit looks for truth. You ran away from the truth of your position. Tell me why did you run away from your wife? Ø Also Remi becomes a hermit because of Tribalism. The tribe wants Remi to rule them because he is the only one who has university education. They do so because they want someone from their tribe to represent them in the government, something that Remi is protesting against. This can also be revealed in his conversation with Jane. Additionally, he ran to the city to get a job in the office and earn a living and stay there forever but later he is fed up of the city as he says “I hate working for these oil-companies that have invaded our country. “Files, files, files all day long” pg 21. Ø The setting of the play is Kenya after independence. Additionally, the play has employed the urban and rural settings. Ø Urban setting is portrayed by incidents like, night clubs, white collar jobs (like Remi is working in Oil-Company-), people of different races; these are common features in towns/cities. On the part of the rural setting there are practices like traditional customs such as widow inheritance, traditional religion, tribalism, living in a hut and the like are common in the villages. Ø The playwright has employed the dialogue style throughout the play. There are few cases of flashback technique especially when Remi narrates his Brother’s death and back when he was at the college. Ø Also we see the middle of the story is found at the beginning and the beginning is in the middle of the story. The scene begins by showing Nyobi comforting Thoni who has been crying, but we do not know why until later when we are told that her husband died and Remi who was to inherit her has run away. There are also some cases of foreshadowing. People try to foreshadow the return of the hermit (Remi) and how he will lead them to victory. Ø The language used is simple and straight forward. The choice of words is also perfect since there are words that help the reader to get the message across easily. Words like tribalism, racism, taxation, forced community works; bribes etc help us to know the kind of life these people experience. There are different traditions and customs portrayed in this play. Some of these traditions give us an impression of cherishing and preserving them for the future generation and some do not. Ø It is a common custom among African societies and Marua tribe is no exception. According to Marua tribe, it is possible to inherit the wife of a brother who is dead. Remi finds himself faced by this fact when his brother dies of a motor accident and his father and elders tell him to inherit the wife of his late brother according to the custom. Speaking to Omange he says, “he called me to his bed and said: ‘Remi you know our custom. Your brother’s wife is now your wife”’. This is one of the reasons why Remi runs to the city. This custom is dangerous especially in this era of HIV/AIDS because more often than not in some cases it is not possible to know whether the person who died was HIV positive or not. So it should be discouraged. Ø Moreover the Marua people believe that the neighbouring communities are jealousy of them. They even attribute Remi’s disappearance to black magic that might have been used by their neighbours to turn his mind against the tribe. Pg 7. Also in page 12 the leader says; “who can doubt that Remi’s mind was spoilt by the evil eyes of our neighbours?” This custom is not good as it may lead to hatred and unnecessary conflicts among communities just because of false speculations. So it should be discarded. “Last month our diviner had a message from God. He had vision and there, he saw the tribe expand, becoming powerful, dominating the whole country” pg 8. This shows that they believe in their traditional god who decides their future. Ø Before the elders leave for the city they go to the mountain to say their prayers. This is also bad since the mountain cannot hear nor answer their prayers. Ø Some African societies perpetuate the spirit of tribalism and racialism. This is very bad custom that has to be stopped. For example Remi hates this and is trying his level best to stop it. He says “even at college I hated many small political and social organizations based on tribe and race” pg 24. He also comes with Omange, a man from Njobe tribe and introduces him as his brother and theirs too. Ø Also racism is shown in two ways: Africans don’t want people from other races; the elder says “and married this woman a daughter of the tribe, instead of going to a white-skinned woman. We were happy.” page 6. That’s the reason why Remi refuses to take Jane home because she is different. Ø Later when he stays in the city, without answering his mother’s letters, she considers this as lack of respect. She says “this world is really bad, not the same as the old when sons still gave respect to parents…- many letters have we now sent to him, but no reply. Not a word from him. A child I bore” pg 1. Respect to elders when the cause is right can be cherished. Ever since the coming of the Whiteman, African societies were divided into two major beliefs. There are those who remained traditionalists following the religion of their ancestors and those who were converted to Christianity. In this play both cases are portrayed. The elders represent those who have decided to uphold their traditional religion while people like Ngome, Nyobi, Remi and Pastor chose to become Christians. However, in this play the division is obvious, since religious differences have brought more conflicts and disunity and have split the country apart. POSITION OF WOMEN IN THE SOCIETY. ü Women are portrayed as people with true love. Thoni is portrayed as a person with true love to Remi. Despite the fact that Remi runs away from her she is determined to wait even for 20 years. She does not want to take the third husband. She says “I cannot go to a third husband” pg 2 and she adds in pg 4 “no, no, no, I will not go with another, but him I call my husband, even if I wait for twenty years and more I shall bear all” pg 4 When Remi abuses her in public she takes her life showing that she had a true commitment to Remi. ü Women are portrayed as sympathetic people. Nyobi sympathizes with Thoni due to her state of loneliness and even advices Thoni to take another husband to conquer her world of loneliness. Also the woman advices Thoni not to think of killing herself. She even invites Thoni to go and live with her. Due to some circumstances, there are different intrapersonal conflicts among the following people. Ø Thoni. She suffers intrapersonal conflict since her husband is dead and now she faces loneliness. Then her next husband Remi has disappeared something that she might translate that he does not love her. Expressing her situation she says “why do men not rest in my hands? Death took away my first husband. Now the next, his brother has left me. The hut’s gloom and loneliness has started eating into me.” pg 4. Second, it is with the way Thoni lives in loneliness, thinking of Remi. She advises her to get another husband but Thoni refuses to move from one husband to another like a common whore. Ø Remi; he suffers intrapersonal conflict because of the circumstances taking place in the country and his tribe in particular. That is why he runs awayto find peace in the city but the problems follow him there. The whole country is suffering from tribalism, racialism, and religious factions. All Remi is doing, is to not only expose the cantankerous effects of tribalism, racialism and religious factions but also to root them out with both hands. These are conflicts or misunderstanding between two people. ü There is also a contradiction on the question of marrying Thoni. Remi believes that she does not love him or else she wouldn’t have married his brother. Omange tells him to give her a chance to express her love to him since one cannot read someone’s heart or feelings merely by appearance. There is an obvious conflict between traditionalists who follow traditional ways of life and Christians. When discussing the coming of Remi, the elders want Remi to be on their side, and lead them as a tribe to victory and want him to stay away from his mother and the pastor. On the other hand the pastor wants Remi to be the future leader of the church. He sees politics as something bad and urges that he should stay away from the tribal influence. This causes segregation and disunity among the people. There is a conflict between the new government and the citizens. The conflict arises from the fact that they fought for independence thinking that things will change when they get independence. But to the common people life is still hard as they have no land, taxation is a burden to them while the ministers and their Permanent secretaries fatten on bribes and inflated salaries. Independence has not reduced the amount of racial tension. Omange says “since independence tribalism and tribal loyalties seem to have increased. And even the leaders who were the supporters of the Africanist Party are the very ones who are encouraging these feelings” pg 23. Also the government has enacted a legislation against strikes. That is why even Marua people want Remi to represent them in the government so that they can also enjoy the national cake. Ø To show his hatred for tribalism he comes with a friend from another tribe (Njobe tribe) and introduces him as their brother. He tells the people to build more schools as education is the key to success. Remi is struggling to build a better future for his society. He wants people to develop and be free. They suggest some of the ways through which they can bring changes. Ø People must be united and work cooperatively. Ø Tribalism, racism and religious differences must be crushed down. Ø Education should be insisted as an instrument of change in the country. However, changes must go step by step. Remi is too fast in his approaches. He attacks the leaders and other people instead of educating them first, the cantankerous effects of Racism, tribalism and religious differences. As a result he jeopardizes his relationship with other members including his own family members. He admits by saying “I came back to break tribe and custom, instead I’ve broken you and me”. This is to say his intention was right but he used a wrong approach. This is the expression of strong disagreement with or opposition to something. People in the play show protest against unfair new Blackman’s government in the country which practices the colonial regime. ü They protest against oppression. They are made to work for long hours without pay. ü Remi protests against tribalism by the leaders, religion isolation by the pastor and other Christians and racism. ü Remi also protests against some tribe customs like widow inheritance. He decides to run away from home to avoid such outdated customs. Ø In this play education has been portrayed as an important tool in bringing awareness. Remi is aware of many political and social affairs because he is educated. He joins the Africanist Party and becomes an active politician. He realizes the dangers of tribalism, racism and religion factions in the building of a nation. Ø Also through his education he gets a job in the Oil-Company but later realizes that it is exploiting the country. Ø Education has given confidence to Remi to attack any challenging situation and he is even no longer shy to face girls. He also boldly attacks the elders and the pastor simply because he is more educated than anybody else in his tribe. Ø Nevertheless, his education has made him proud and boastful, feeling superior to the villagers. He wants to abolish all tribe customs at once and introduce new lifestyles without giving the people enough time to adjust themselves. He speaks harshly to the elders and to his mother and rejects Thoni in public. This is arrogance as a result of negative influence of education. Ø This society seems to be affected by tribalism to a large extent. The elders especially are more affected. They do not view things as a nation but as a tribe. That is one reason why Remi decides to act against them. They want him to be in the government to represent their tribe interest. For example the leader says; “not one of our skin and blood is in the new government” pg 30. Ø Moreover when they go to persuade Remi to come back to the village, this is all they have got to tell him “We want a tribal political party” another adds; “A Prime Minister from the tribe”. Pg 31. This is one of the dangerous enemies to nation building which must be discarded if we want to create a spirit of nationalism. Just like most societies, in this country also there are classes. There are classes based on economic status and those based on faith (religious differences). Ø The rich and the poor. There is the class of the rich people comprising the leaders, settlers and other company owners who enjoy the national resources by paying themselves high salaries and engaging in corruption. On the other hand is the class of the poor citizens who are exploited through, forced community work, low wages, taxation, land alienation and have generally poor living conditions and inadequate social services like schools, hospitals and the like. Another class division in this society is between the Christians being represented by the pastor, Nyobi, and other converts, and the non-Christians (traditionalists) being represented by elders. The playwright shows that the division is so severe and intense to the extent that the Christians isolate themselves from other people. Their division is even seen in the way they want to influence Remi when he comes back. Christians do not want him to fall under the influence of elders while elders also do not want him to fall under the influence of Christians. So generally we learn that class division is not healthy in any society that wants to get sustainable development since they become their own enemies instead of becoming the authors of their own destiny. There are also cases of betrayal in this play. ü Second, Remi also betrays his tribe for not using his education to help them solve their social problems instead he runs away to the city to enjoy the city pleasures leaving his people in a bad situation. This is to say the promises for which they fought have been betrayed. ü Running away from problems is not a way of solving them. ü We do not solve problems by committing suicide. ü Outdated customs like widow inheritance and superstitious beliefs bring more problems to the society so they should be discarded. ü Bringing about changes is not an overnight process. It needs time, determination, focus and patience. ü Tribalism, racialism, disunity and religious conflicts are obstacles to development. ü Betrayal is not good as it causes unnecessary conflicts. ü We should use our education positively to bring about changes. ü Classes should be discouraged as they bring disunity in the society. 1. There are people who run away from problems as a way of avoiding them but finally they find themselves haunted by the same problems. 2. There are people who commit suicide as a way of solving their problems. 3. Betrayal is common among African countries particularly Tanzania. The leaders do not fulfil their promises to the citizens. 4. Widow inheritance is still a common custom among many Tanzanian tribes like the Kuryans of Lake Zone. 5. There are people who still believe in superstition and witch craft as a way of solving their social problems. 6. Racism and tribalism are still common phenomena in some African countries like South Africa, Kenya, Rwanda, Nigeria, etc. 7. The newly post-independent governments in Africa have not solved the people problems yet. Only those in power are enjoying life while the common people are suffering.